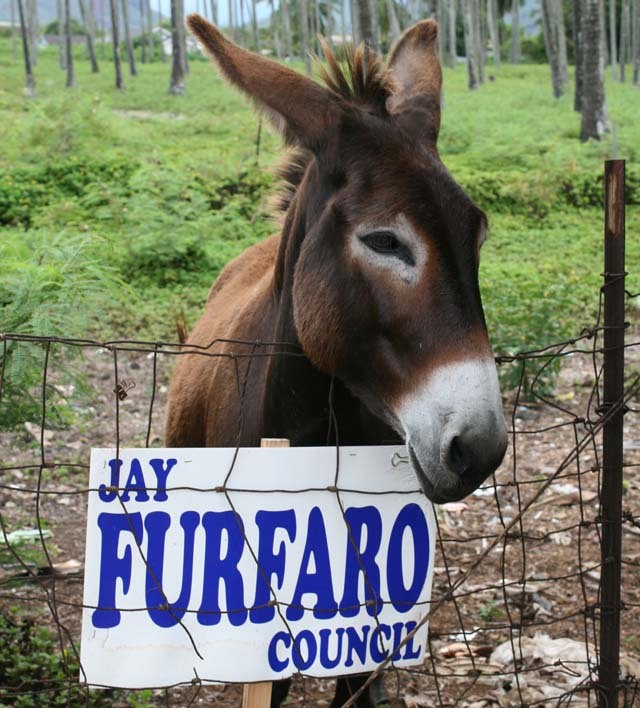 8/23/2006 - Garden Island Newspaper - Council besieged, lauded for planning. 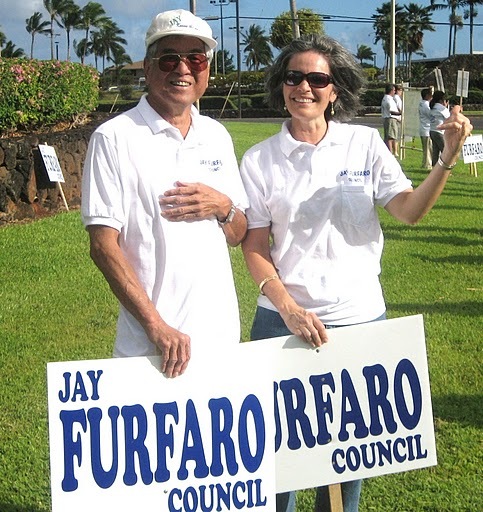 5/12/2006 - See Jay's Guest Viewpoint article in the Garden Island in regard to the Council's approach to managing development on Kauai. 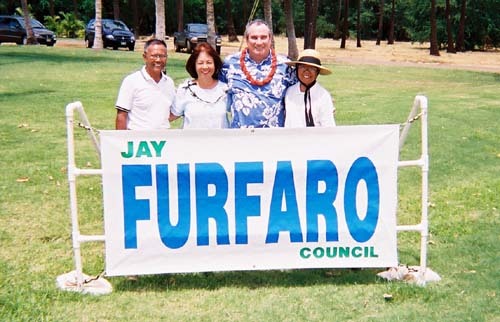 August 9th, 2002 - Jay & Ema Furfaro with friends Dr. De La Pena and his wife Lita greet the Waimea community for the "Talk Story with Jay" event at Waimea Plantation Cottages. 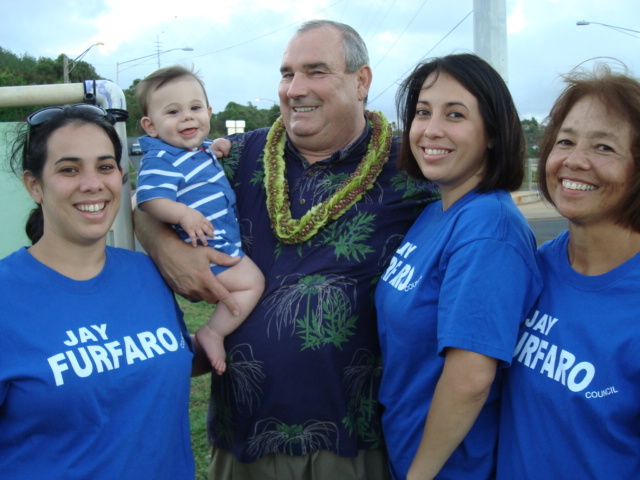 Waimea residents and visitors enjoyed a tasty meal and an opportunity to discuss community issues with Jay. 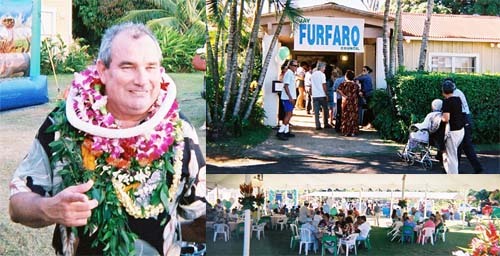 Many Mahalos to Linda Faye and her talented staff for the beautiful location and facilities. 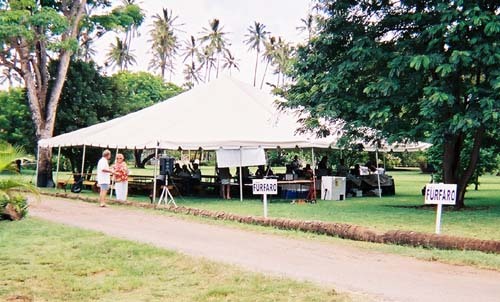 July 28th, 2002 - Jay's Fundraiser at Kilohana was a successful event, attended by a diverse cross-section of the community. 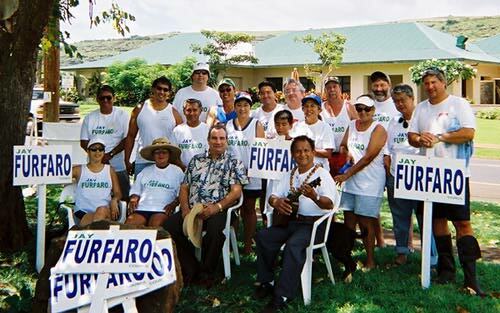 June 27th, 2002 - Jay's campaign song "Jay Knows the Way" performed by Kauai's own Robbie Kaholokula is released. 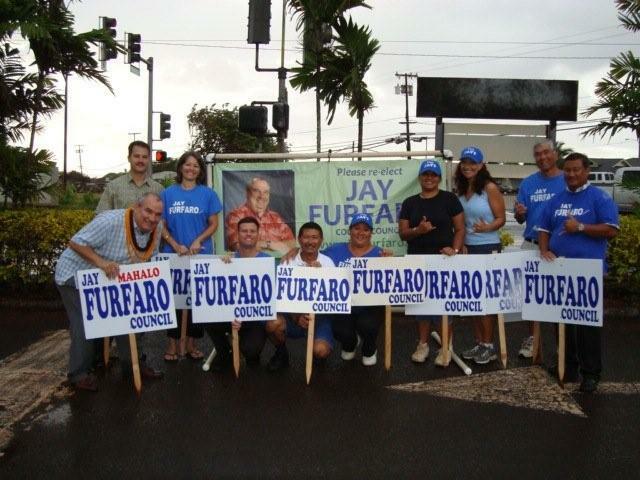 June 8th, 2002 - A group of Jay's supporters gathered in Waimea to wash cars, promote voter registration and introduce Jay to the community.